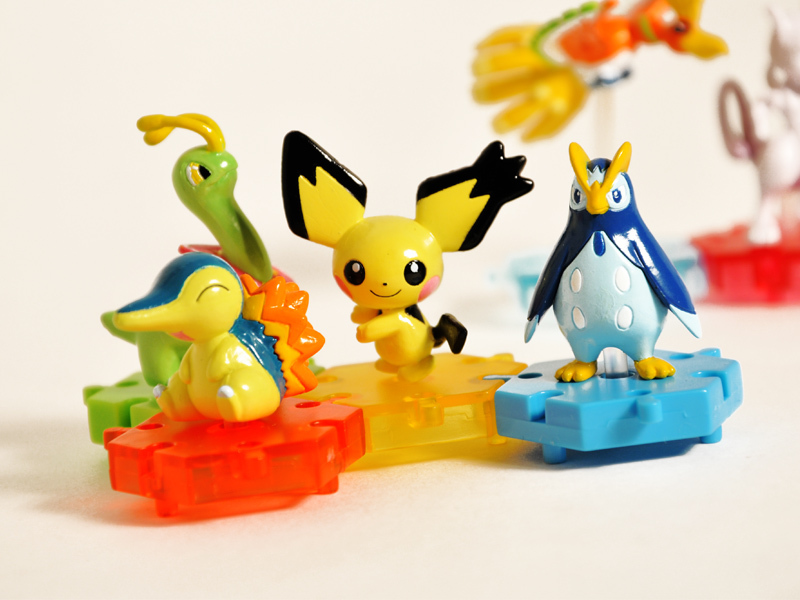 Pokemon fans brace yourself for an extraordinary Pokemon figure collection that will blow you away! 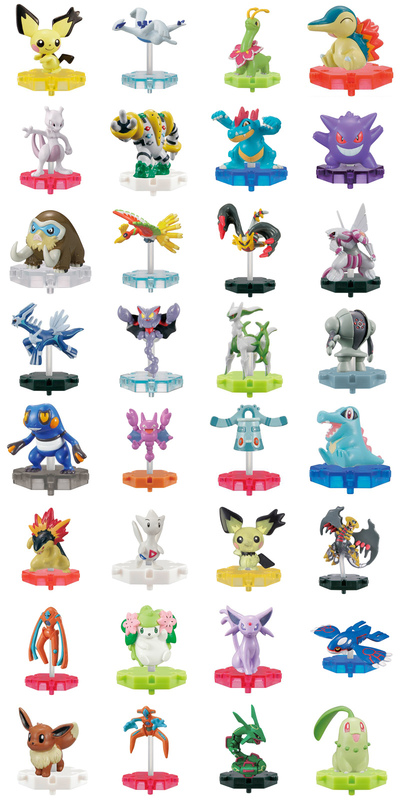 Bandai's Pokemon "Super Get" Series is one of the most extensive Pokemon figure collections we have ever encountered with over 12 volumes totaling over 100 different Pokemons from classic Red & Blue to Diamond & Pearl! 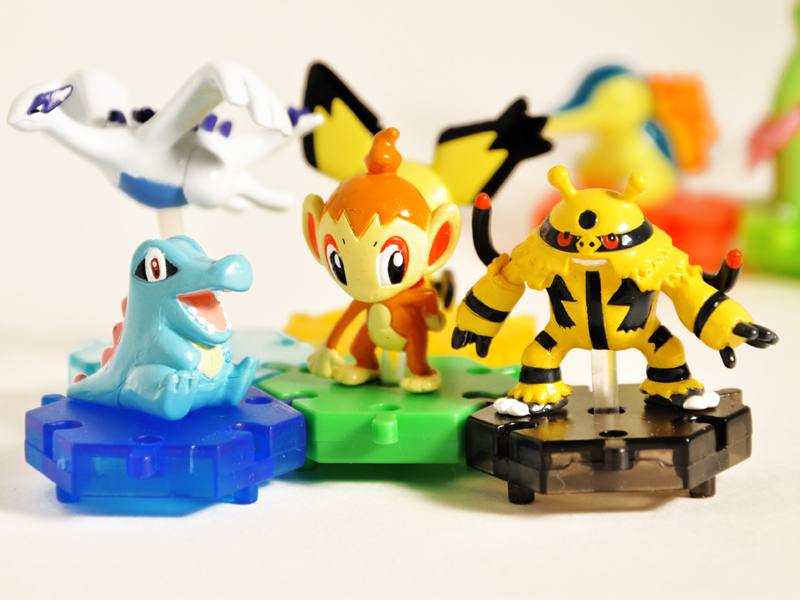 Each Pokemon is cleverly sculpted and hand painted in their classic pose. The truly unique thing about this collection is that each figure comes with a highly versatile hexagonal display base that can be interlocked or stacked on top of each other for tons of display options or even used for gaming! Gotta catch them all!